A Lovinspoonfull: Cream Biscuits are Soooo Easy! A cold and sunny morning is a beautiful thing. A day off with my husband is a rare treat. 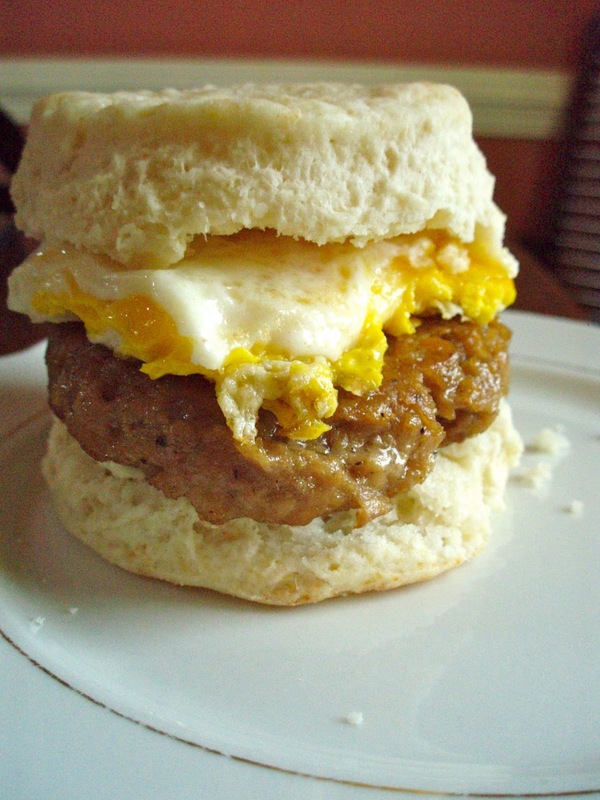 Starting the day with home made biscuits, veggie sausage, and eggs collected fresh this morning almost feels wrong. Almost. This the easiest biscuit recipe ever. No cutting in the fat. Just measure, mix, roll, and bake. 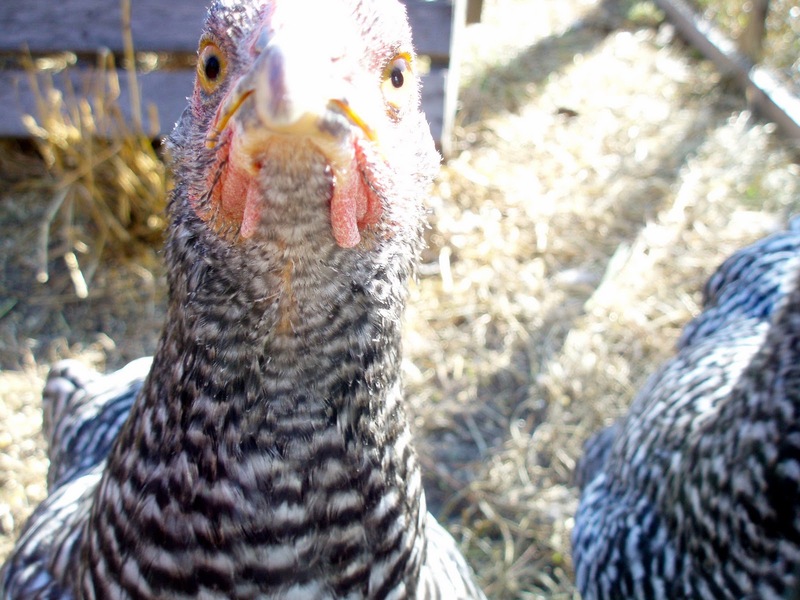 It is endlessly adaptable too. 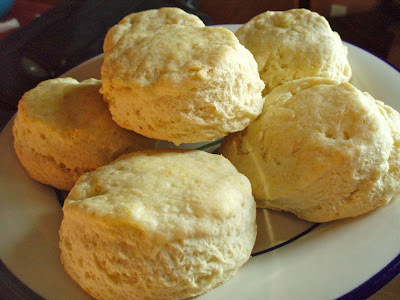 What I mean by endlessly adaptable is that you can make these biscuits plain, savory, and sweet. I have added lemon zest and fresh thyme. I have made them like a dessert and added blueberries to the mix with a glaze on top. I will list a few of my favorite additions. A good rule of measure for these additions is 1 cup of fruit, cheese, chip etc. and 1 tsp of herb or spice to the dry ingredients. Measure all of the dry ingredients into a mixing bowl and whisk to combine. Now would be the time to add spices or fruit if you are making a flavored biscuit. Add half of the heavy cream and mix with your hands. Using your hands makes it easier to feel the dough and determine if you have added enough cream. You want the dough to be a bit sticky and shaggy, but not too wet. Just hydrated enough to hold together and roll out. Continue to add the cream until the dough comes together. I added about 3/4 of the pint. Drop the dough onto a lightly floured surface. Pat into a disk shape, and roll out to about an inch thick. 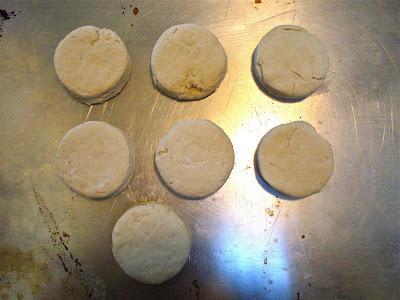 Cut out biscuits with a 3 inch cutter, or the rim of a glass dipped in flour to prevent sticking. Do not twist as you cut. This prevents your biscuits from rising properly. 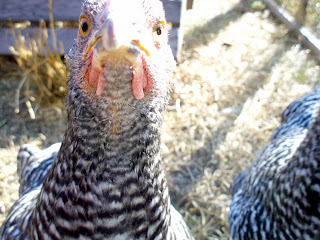 Biscuits must be proper! You can re-roll your scraps, but only once. 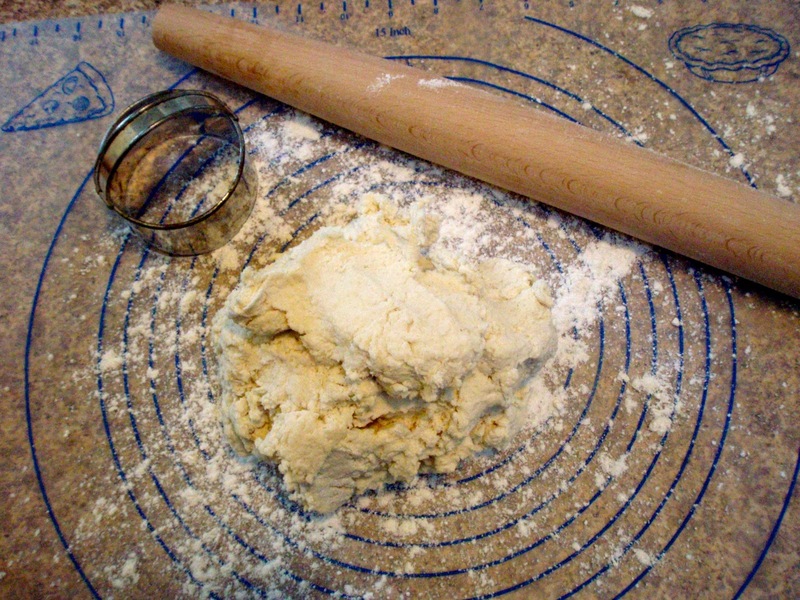 The dough will get tough the more you roll it out. Place biscuits on a baking tray. Bake for 18 to 20 minutes or until very lightly browned. Brush tops with melted butter. So easy! These biscuits were in the oven before the coffee was finished brewing. I hope you will give them a go.